The result of a sports performance depends on three factors: technique, mental approach, and strategy. 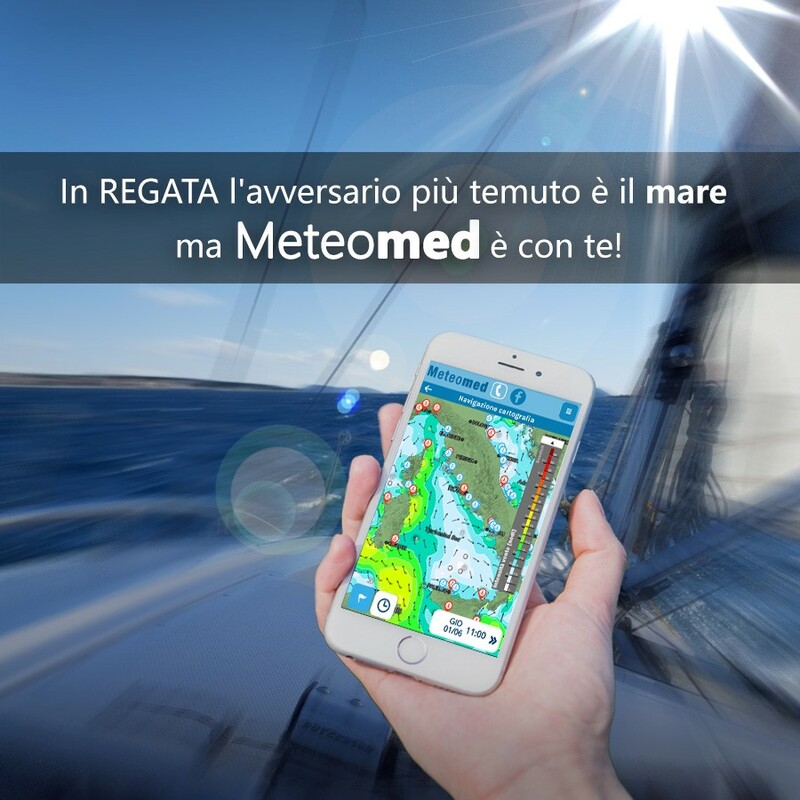 The Meteomed Race Service was born from the need to consolidate strategic choices in the field of professional sailing regattas, through a scientific approach. We support teams and committees by analysing the physical and environmental dynamics of the race context in order to develop a strategy. Understanding the local features makes it possible to perfect the weather forecast and gain a complete overview of the physical phenomena that influence the race tactic. Nowadays, technology in the field of forecasting is highly developed and in continuous evolution. However, the natural variables are numerous and it is difficult to insert them into a restricted package of mathematical calculations; each location has characteristics that could be defined as a microclimate and that cannot fall within the general models. The assistance of an expert environmental analysis consultant in order to develop a race strategy, either on board or remotely, is not only useful for navigation choices, but also for the selection of sails with which to race, which to keep on board and which to keep at the ready in anticipation of a phenomenon and your competitors. This assistance represents a distinct advantage over your competitor, who will probably rely solely on his own racing experience. Please note: All of our 'Race' packages begin with the features available in our TOP subscription (click here to find out what the subscription offers). Top Race Strategy – Weather Strategist on board. Our marine experts' meteorological advice will enable you to sail safely, set up equipment appropriately, increase your PERFORMANCE and understand the characteristics of the REGATTA course in detail by studying the best STRATEGY. Our Meteomed Race service is also available beyond the Mediterranean. This upgrade allows the customer to use a dedicated racing consultant. Direct Call with the forecaster before setting sail. MS/emails sent with the marine weather info for the day, before going out to sea. Sending satellite SMS several times a day (3 updates) with info during long races. Evening debriefing with indications for the next day and an analysis of what happened during the day. To the previous features, we add the possibility of implementing race routeing (Weather Routeing). This service assists the onboard navigator, it is an instrument directly aimed at analysing the weather conditions along the route and aims to identify the ideal route with regard to the forecast conditions. For proper route management, there must be a fluid communication between the consultant and the crew members. The strategist is an all-round sailor, a specialist in the natural phenomena that influence navigation. The strategist analyses the summary situation associated with local, orographic and surface thermal effects to reach the finishing line in the shortest possible time. The Weather Strategist has expertise in navigation, marine and atmospheric sciences. A sailor with meteorological, strategic and environmental skills, who constantly keeps up-to-date on the evolving weather situation during the race. The strategist supports the tactics and performs other roles on board, in the preparation of: the selection of the sails, choice of the preferred racing area, continuous racing area observation, preventive detection of rough or calm areas, etc.